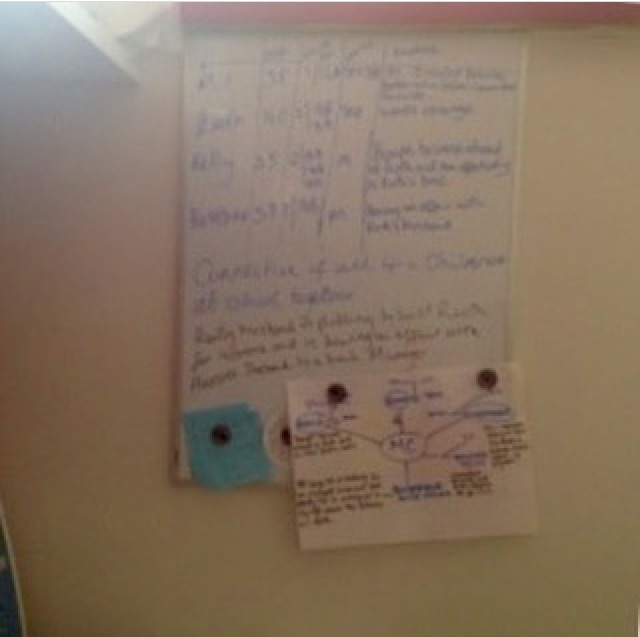 Life Cycle of a Writer: When School Holidays Hit. For many parents and children in the UK it’s the half term holiday – the first week off since the new school year, and for many, a welcome break. It’s been a busy month-and-a-half rising at the crack of dawn Monday to Friday, attending lessons and completing homework. A less frantic schedule comes with a sigh of relief in our household – we enjoy the occasional lazy day, and since my children are old enough to occupy themselves, fitting in writing time is not a problem. But that wasn’t always the case. I can recall many times when my son waltzed into the kitchen, where my desk is situated, asking if I was planning on making dinner. The answer was always yes, but the time varied, as did the number of times my son had to remind me. These days, he and my daughter will see to themselves if I’m in the writing zone or the edits cave, and will send care packages to my desk consisting of coffee, biscuits, crisps and passing hugs and kisses. This half term holiday I’m enjoying spending a few days with them as I’m not racing to hit a deadline. 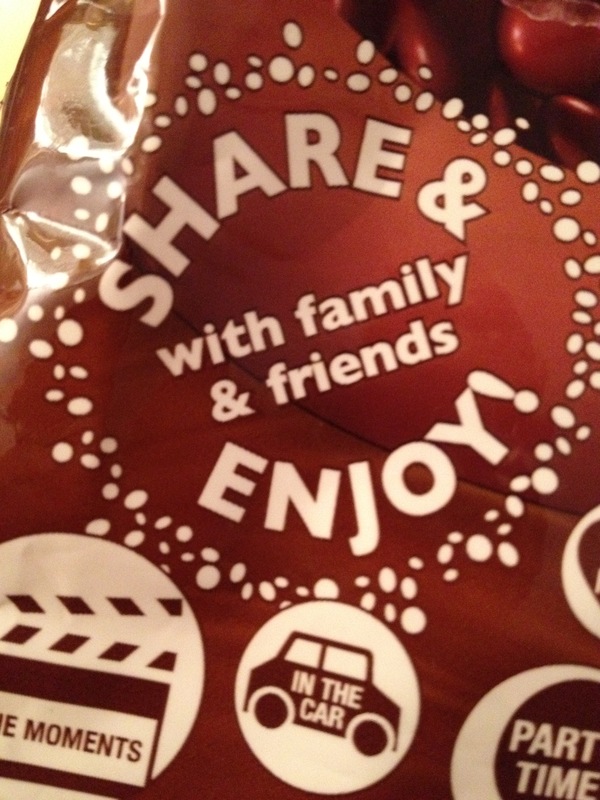 Activities include bedroom tidying, going to the cinema, or having friends over to the house. I intend making the most of this time as I’m aware I may be exceptionally busy come the Christmas holidays, but that’s all part of the life cycle of a writer. How do you manage the holidays? What tips can you share? We’d love to know. Strictly speaking six years at the bus stop is an underestimation. My quest for a literary agent started when I was about twenty-one and didn’t have a clue what I was up to. So, to be absolutely accurate, and for anyone good at math you can work out my age, it’s really been fourteen years at the bus stop. In my first, very naive attempts to get an agent, I sent the first three chapters of a book called Child Y?. I wrote it at university and it was way too short and proved how much I didn’t know. Friends read it and enthused and I had one handwritten response, but every other submission was followed up with standard rejections. I left University as a qualified physiotherapist and was soon too busy to even tinker with writing until ill-health caused me to consider a career change. This time I didn’t want to find a literary agent through the more traditional route of searching through the Writers and Artists Yearbook and sending off submissions. In my earlier attempt I’d found it a bit disheartening and faceless. Those six years at the bus stop were spent making contacts, having one-to-ones, gaining feedback, making friends, and learning where to source up-to-date information. It might have been a longer route, but it was a way of avoiding the slush pile. 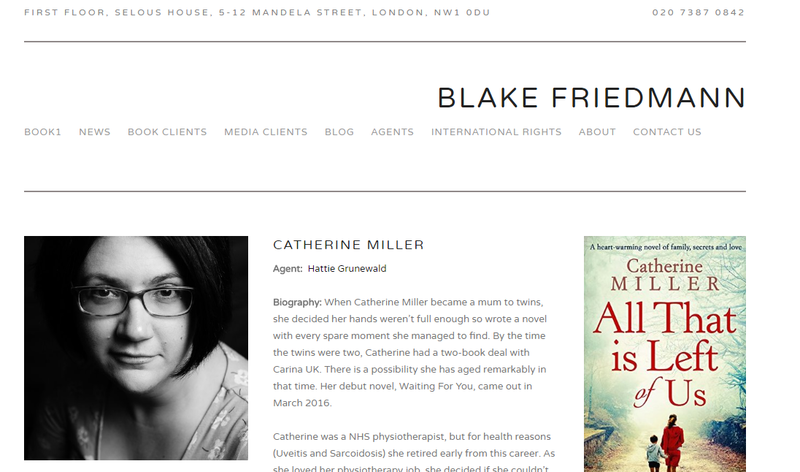 In the end, I had two offers of representation and I’m delighted to say I’ve signed with Hattie Grunewald of Blake Friedmann Literary Agency. Entering competitions – sometimes literary agents are judges and it’s a way for them to potentially read your work or even meet them. 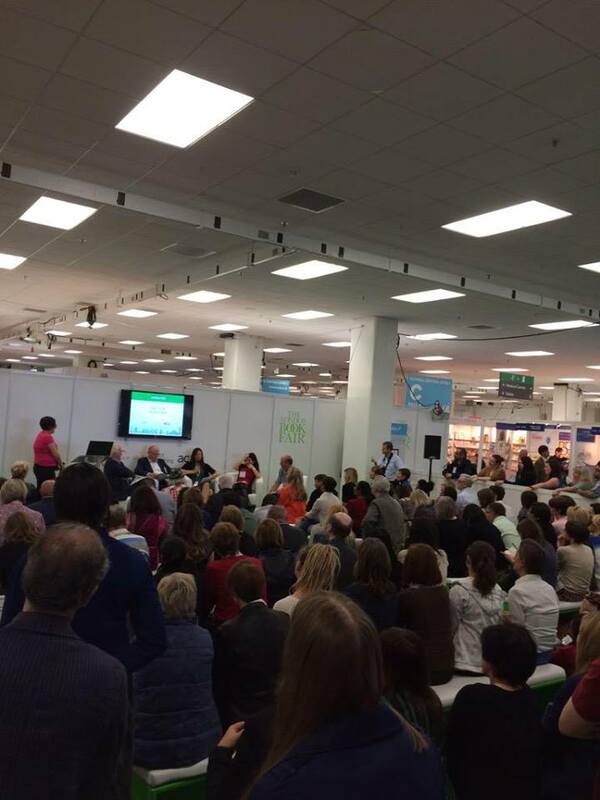 I entered the London Book Fair Write Stuff competition and ended up on the stage pitching to a Dragon Den style panel of agents. Online events like #PitchCB – This is a monthly event that takes place where you can pitch your book and potentially get invited to submit your work. Open submission periods – There are occasions when publishing houses and agencies will have a featured submission period. For example, United Agents held an open house across August. Friends recommendations – Often writers will know when agents are looking to add to their list and in what particular genre. One-to-ones – Conferences often offer the opportunity to have one-to-ones with agents and publishers. It was as a result of a one-to-one that I ended up signing with Carina. I’m lucky enough to have had success with all the above in one way or another in a close space of time, but it’s important to remember that it was the result of sitting at the bus stop for years and years. And for every bus that flew by, spraying water on me as it went by, I never stopped tapping at the keyboard or believing that one day, if I worked hard enough, the buses would start stopping for me. If you’re on the quest for an agent, the secret isn’t in never giving up, the real secret is to never stop typing. I’m just back from a major spring cleaning of the brain. Sometimes a writing retreat in the wilds of Northumberland is just the thing to blow the cobwebs away and recharge your creative bits and bobs, but this time it was more of an escape from reality that was needed. Or maybe a step into an ideal world? 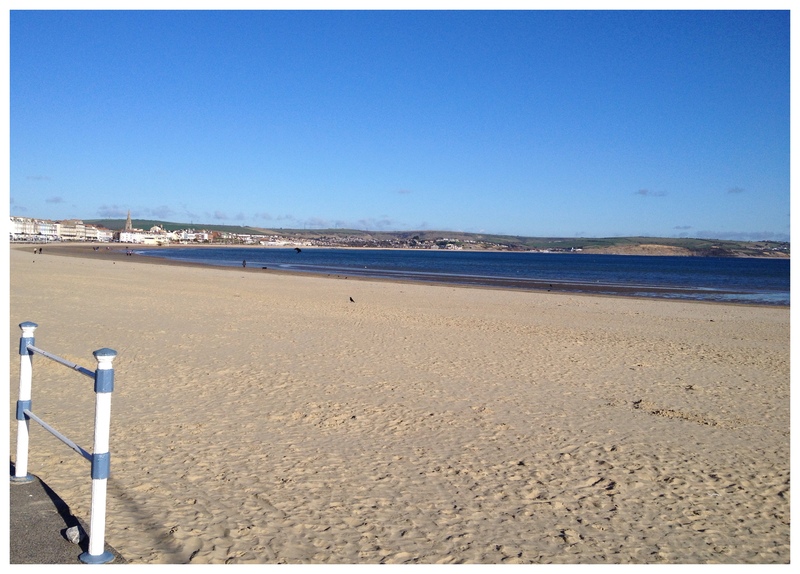 One where phones don’t ring much because the signal’s pants, and the sun shines, and the tide always seems to be out. Where breakfast appears every day as if by magic bursting with calories and yummyness and you get to read whenever you like. It sounds perfect, doesn’t it? And so it was, but now real life has kicked in. I’ve just given up the day job but instead of the wide expanse of writing time, swimming, walking, pilates, the odd bit of housework and loads of wine/cake/both, there seems to have been a big dollop of worry lurking in the wings. You can’t predict when the people you love will be taking a nose-dive and needing propping up, can you? I have a post-it note on my laptop with a list of all the things I want to achieve with my writing career. I started making the list when I first began writing seriously, which would probably be when I joined the RNA New Writers’ Scheme. The list initially started off small and, I won’t say simple because at the time, whatever was on the list was something I wanted to achieve and couldn’t be done without a considerable amount of effort on my part. The first thing was ‘Finish writing a whole novel’. Then it was ‘Meet NWS deadline’ and ‘Work on feedback’. With my fourth HarperImpulse novel. 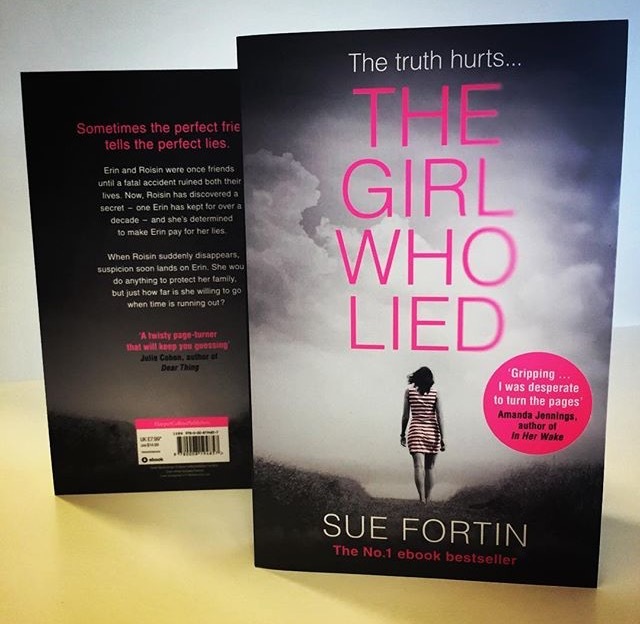 The Girl Who Lied, I was fortunate enough to exceed my post-it note expectations. It became an Amazon UK #1 bestseller, a USA Today bestseller, sold over 200k e-copies and is going to paperback in November. Wow! Some of these things may have been on my list, but I hadn’t in my wildest dreams thought they would be ticked off quite so quickly, if at all. I am, of course, eternally thankful to everyone who has been behind the book and the fantastic readers. It really has been mind-blowing. 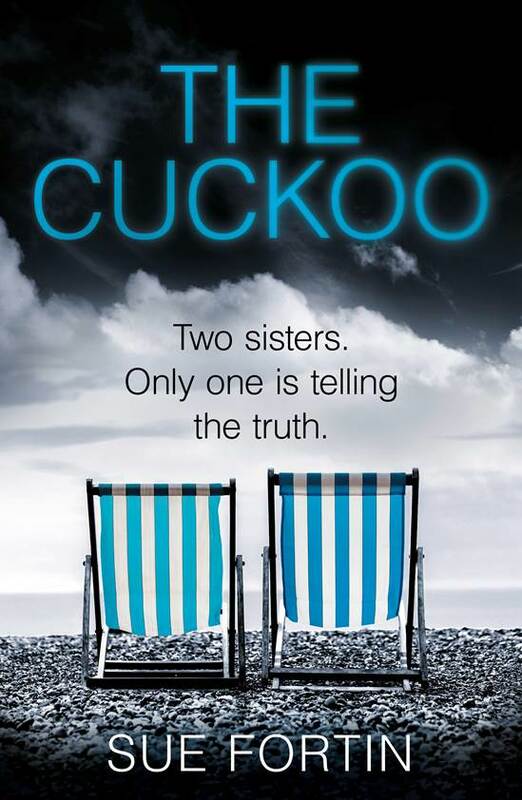 So, although The Girl Who Lied is still going strong, in the meantime, I’ve had to work on my next contracted book, The Cuckoo. With a September deadline, it meant taking the laptop on holiday with me and spending most mornings hammering away at the keyboard. My husband has been super supportive and really helped with all the things that need doing, including keeping our 8-year-old daughter busy. Having said that, she did tell me that I wasn’t allowed to take the laptop on holiday with me again. Point taken. I already had an idea for The Cuckoo so I found it relatively easy to get the words down, however, with the second book of my latest contract due in spring, I found myself in a bit of a creative black hole and the doubts started to creep in. I convinced myself it was okay and I’d be able to come up with a thoroughly decent idea any time soon. As each day drew to a close, I realized that I hadn’t moved any of the ideas forward. Gradually, the mild panic began to settle and grow. What if I didn’t have any more ideas, full stop? What if that was it – no more ideas and no more books, yet I still had a contract to fulfill? I think I spent two days properly panicking. I then gave myself a good talking to and made myself sit down and thrash out some plot ideas. Forcing myself to do it, rather than waiting for airy-fairy artistic inspiration to strike, I put together a brief synopsis and made some notes about the characters and how I saw things developing. It wasn’t perfect, but it was something tangible that I liked. Fortunately, I met up with fellow Romaniac, Jan Brigden, at an event we both attended, and we started chatting about my book where I explained to Jan that although I liked what I had, I felt something was still missing. It’s funny how someone on the outside can so easily put their finger on what might be missing. Jan patiently listening and chatted the plot over with me. She was able to pinpoint what was missing – the thing that would make it my own story, the sort of one I wanted to write and not the sort I thought I wanted to write. Although I’m eager to get started on the new project, I’ve been thwarted by the first round of edits for The Cuckoo arriving yesterday. There’s a lot to take in and mull over, to discuss with my editor and agent to see how I can make it a much better story, so for now, I’ll have to put the next book on hold until these edits are sorted. 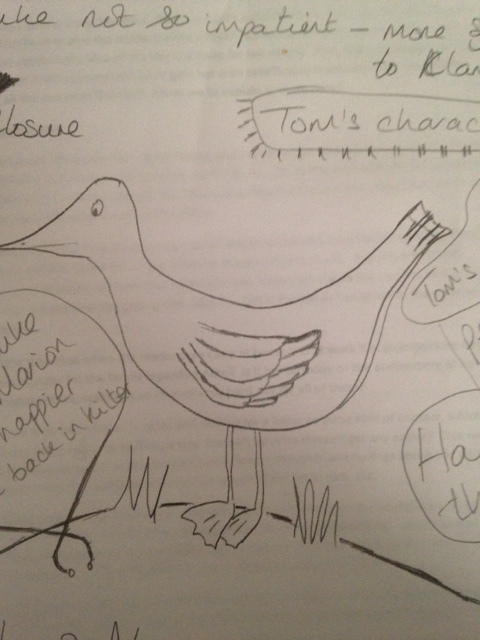 Not sure what I doodled during my phone conversation with my agent, but I did make some useful notes too!